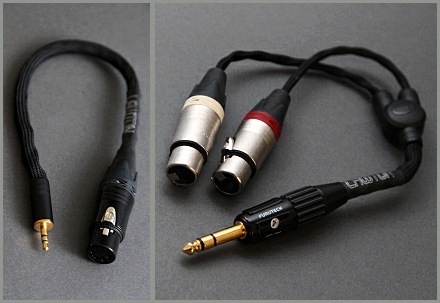 Click on the graphic below to go to our Pricing & Options page for direct hard-wired Black Hornet Headphone Cables. 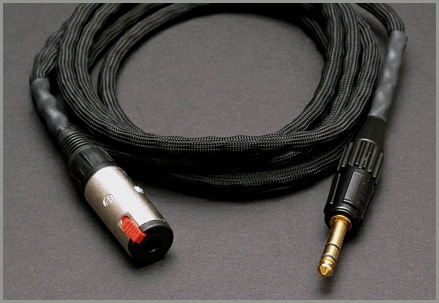 Click on the graphic below to go to our Pricing & Options page for detachable Black Hornet Headphone Cables. 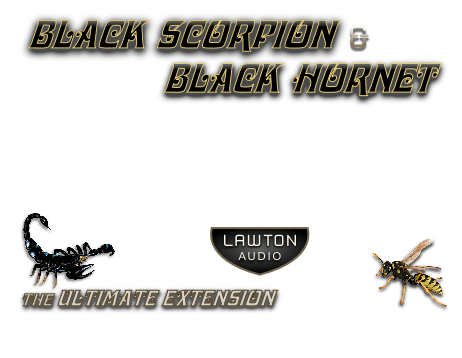 Killer upgrade at an attractive price, our Black Hornet Cable sounds great, and is comfortable to wear, with the same superior fit and finish Lawton Audio is known for. Excellent value with durable construction for lifetime enjoyment. 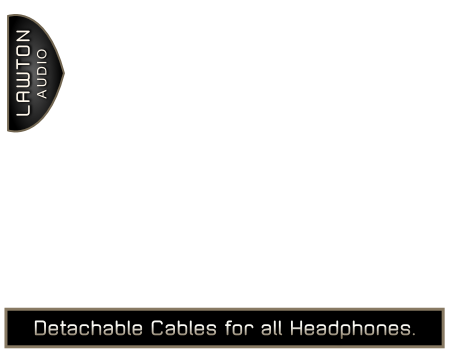 There is no headphone make or model this cable won’t improve! Heavy-duty 24G ultra-pure Japanese copper in a low strand count. High flexibility for maximum comfort and easy storage. Light-weight with tough, durable housing for long life. Outfitted with deluxe black nylon sheath for a soft feel. Finished with your choice of deluxe plug. 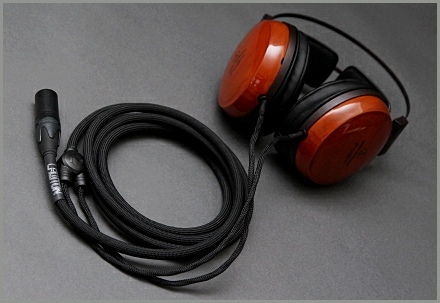 Your Black Hornet Cable features the best specially selected Japanese copper in a sensible design that sounds great. 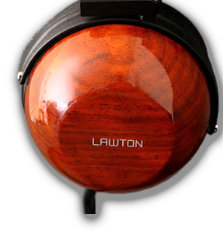 As a general rule, we love copper audio cables at Lawton Audio. The best examples of copper wire almost always excel at tone and timbre, providing an organic and natural experience that other materials often struggle to replicate. 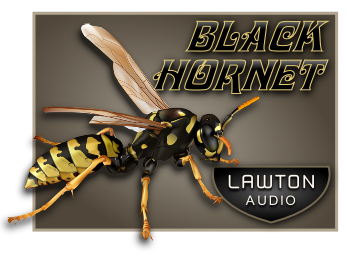 Our Black Hornet features a rich, dynamic and full sound, nicely balanced and coherent throughout, with a pleasant dash of warmth in the middle; a delicate touch you’ll really appreciate. 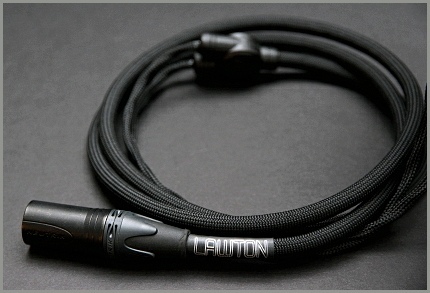 Our Black Hornet is a superb all-around cable and a top value upgrade for all your favorite phones. There are many fine audio wires out there. 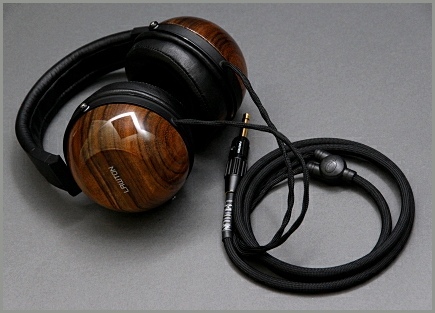 But the world of those that are practical for being worn like a headphone cable is much smaller. The cable has to be able to withstand much more stretching and straining, coiling and uncoiling, connecting and disconnecting than an ordinary RCA cable, which you set once and forget. And it has to do all this in a lightweight, comfortable and flexible package. Some aftermarket wires are feeble, tender and potentially fragile. Other wires are unbearably stiff and heavy, giant boa constrictors that weigh around your neck and have to be arranged just so in order to find a position that makes the darn cable happy before you even start listening. Ridiculous! Our cables are made to be comfortably worn and forgotten about, and easily stored when you are finished. The sturdy construction of our solidly made cables mean you don’t have to worry about hurting them. Our cables are secure; there is no chance the wire could ever become loose, detached or damage your headphones, even if you step on it by mistake (which you will). We also stand by our work. 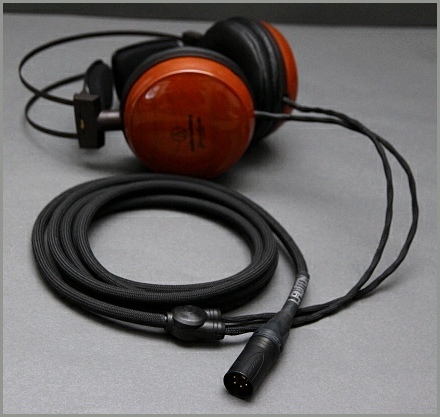 We warrant our headphone cables for a period of one year against any defects in manufacturing or installation. 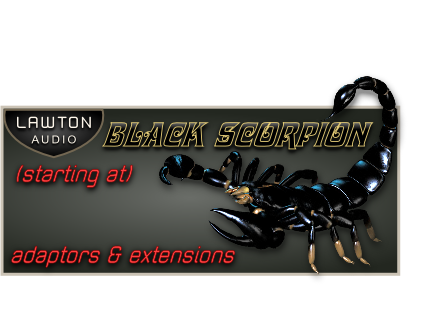 Black Scorpion: Our Top Cable! 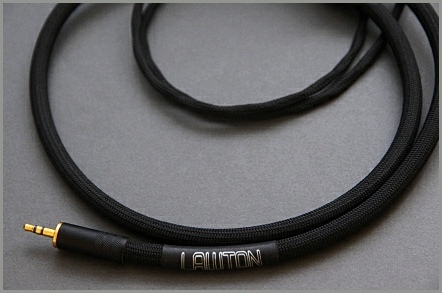 You can search far and wide; there is no better headphone cable out there. 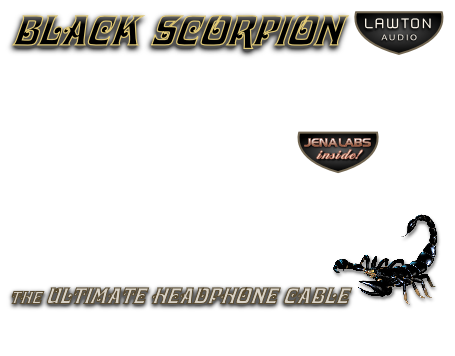 Featuring Jena Labs Ultra-Wire inside, our Black Scorpion delivers the shivers up and down your spine. 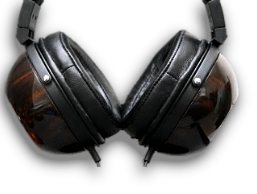 Durable and tough yet light and flexible, for hours of comfortable listening pleasure. Our cables’ construction, build quality and workmanship are second to none. 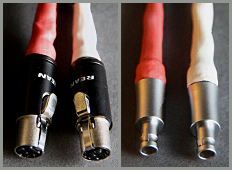 Black Scorpion Adaptors & Converters: No-Compromise. Zero Signal Loss. 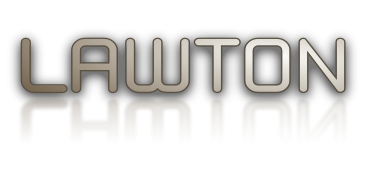 You’ve built a great system; don’t let it down with poor cabling. When it really matters, install a Black Scorpion and then just forget it! This cable disappears. 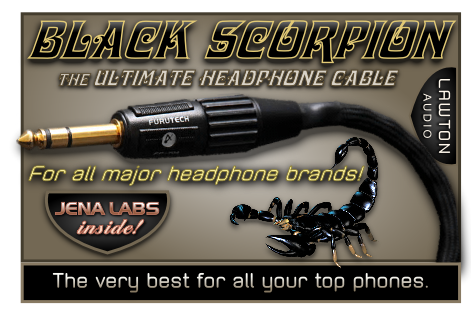 Featuring the exclusive Jena Labs Ultra-Wire inside, our Black Scorpion delivers the shivers up and down your spine. 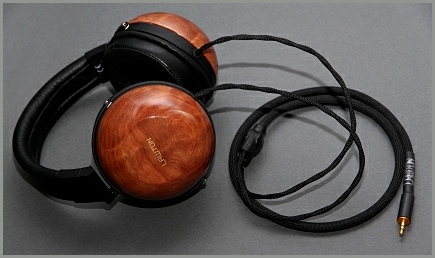 The perfect partner for any top headphone system. Durability & Build Quality for A Lifetime! Durable and tough, we make serious adaptors and extensions that are built to last and can scale up to any system. The last adaptor or extension you’ll ever buy! We can make any kind of adaptor or converter you need that will connect your phones to any piece of audio equipment out there. Click HERE to read more.